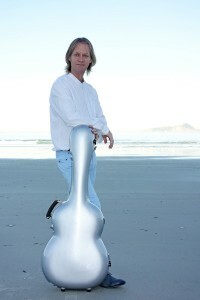 Classical guitarist David Russell is world renowned for his superb musicianship and inspired artistry, having earned the highest praise from audiences and critics alike. In recognition of his great talent and his international career, he was named a Fellow of The Royal Academy of Music in London in 1997. His CD Aire Latino won the 2005 Grammy® award for best instrumental soloist in classical music, and in November 2003 he was given the Medal of Honor of the Conservatory of the Balearics.